Bhullar, N., Zaidi, M., Alam, S., Singh, R. (2007). Synthesis of polyvinyl pyridine/C60 conjugates in supercritical carbon dioxide*. International Journal of Nanoscience and Nanotechnology, 3(1), 63-68. N. Bhullar; M. G. H. Zaidi; S. Alam; R. Singh. "Synthesis of polyvinyl pyridine/C60 conjugates in supercritical carbon dioxide*". 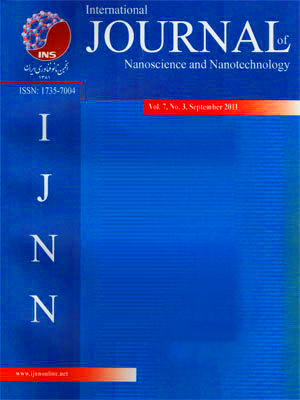 International Journal of Nanoscience and Nanotechnology, 3, 1, 2007, 63-68. Bhullar, N., Zaidi, M., Alam, S., Singh, R. (2007). 'Synthesis of polyvinyl pyridine/C60 conjugates in supercritical carbon dioxide*', International Journal of Nanoscience and Nanotechnology, 3(1), pp. 63-68. Bhullar, N., Zaidi, M., Alam, S., Singh, R. Synthesis of polyvinyl pyridine/C60 conjugates in supercritical carbon dioxide*. International Journal of Nanoscience and Nanotechnology, 2007; 3(1): 63-68. 3Polymer Division Defense Materials Research Development & Establishment DMSRDE Kanpur208 013 UP India. In the present investigation efforts have been made to synthesis polyvinyl pyridine (PvPy) /C60 conjugates through 2, 2-azobisisobutyronitrile (AIBN) initiated insitu polymerization of PvPy in scCO2.The process of synthesis was monitored under different reaction conditions ranging 1200-1800psi, 60-90 oC over 6 hours. The progress of polymerization was monitored rheoviscometrically. The concentration of PvPy and AIBN ranging 6.95-20.85*10-3 and 304.50-931.50 *10-3 afforded PvPy/C60 conjugates in the yield (%) ranging 10.30-48.8. Selected PvPy/C60 conjugates were characterized through UV-VIS spectra, scanning electron microscopy, gel permeation chromatography and solution rheoviscometery.